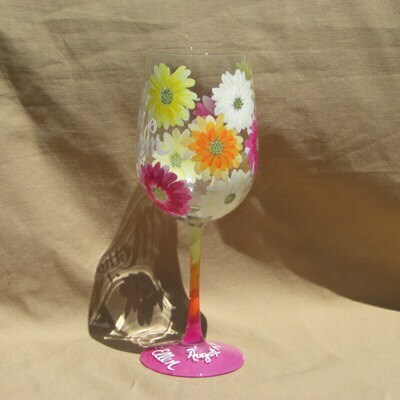 This hand painted Gerbara Daisy design was painted for Daisy in yellow and white. 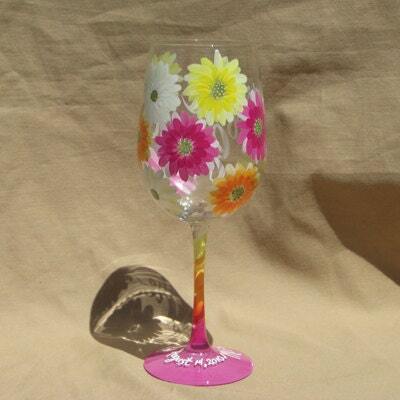 It can be painted in any colors you would like and we can paint your glass to say whatever you would like. Would you like the base to say Thanks for being my Bridesmaid? Done. 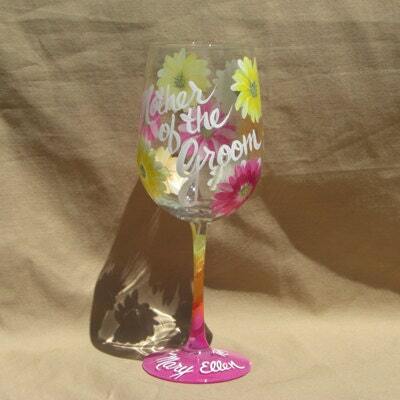 Mother of the Bride or Groom? Done. Check and see the other color ideas too.